From teeth whitening and reshaping to orthodontic corrections, dental veneers are among the most versatile restorations today, with the ability to transform a patient’s smile immediately with lasting resilience. Undoubtedly, patients benefit from veneers in more ways than one, as teeth not only appear beautiful and straight, veneers mimic the function of natural teeth. Utilizing the latest in digital dentistry, dental veneers are placed easily and effectively, with very little tooth preparation. What’s more is that veneer materials, such as porcelain, do not irritate sensitive gum tissues, nor do they stain when exposed to coffee, tea, tobacco or cigarette smoke. 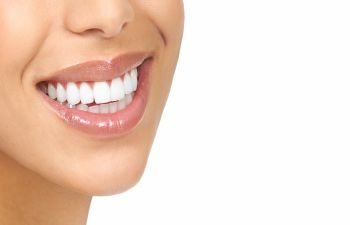 Given the remarkable benefits of veneers, individuals with dental imperfections such as gaps, discoloration, chips and misalignments can achieve the smile that they’ve always dreamed of. For residents in Acworth, Marietta and Kennesaw, Dr. Hamir Contractor is the trusted, proactive dentist that they turn to for high quality restorative and cosmetic dentistry. Dr. Contractor is pleased to provide dental veneers at his practice—Kennesaw Mountain Dental Associates. With a unique blend of artistic skill and technique, your best smile is within reach. Call Kennesaw Mountain Dental Associates today to schedule your appointment. Have been going here for about 2 years and absolutely love this group of professionals. Dr Contractor is great and Kasey is amazing! I enjoyed my experience at this dentist office. They are always friendly and extremely helpful. Dr. Contractor is a nice guy and he knows what he is doing. Dr. Contractor and his staff are consistently friendly and helpful. Their knowledge and skills make for a visit to the dentist much less stressful. Best Dentist and staff ever! Took a great interest in me and helped me navigate my dental needs during and after cancer treatments. This is a great practice. I have been coming here for years. I love Dr. Contractor. When I first came I was so shocked that after my 1st visit I got a call from him after hours from his cell phone.Wow... He so caring. He is the only one I know that talks to you to distract you from anticipating getting the shot to numb you... The customer service is great and his bed side manner always caring & comforting. No one likes the dentist however we all need to go. But this place is amazing. Ms Joan office manager is super amazing. Always willing to work out a financial plan to fit your budget. You work with them they will work with you. The office setting is nice you can watch your favorite program to keep your mind of them taking care your mouth. I wouldn't go anywhere else. The front office staff is great & pleasant. Very very impressed with this dentist! I had a not-so-great experience with my previous dentist which forced me to find a new one. I instantly knew this was a better fit and that my problems were going to be taken care of. Would highly recommend! I Highly Recommend this place. The staff was very Pleasant and friendly. Awesome experience. Kennesaw Mountain Dental Associates is Excellent. I have been going there for the last three years. In my opinion, they have one of the best hygienists around. She has always been thorough during the cleaning process and gentle at the same time. I would highly recommend this place to anyone. The staff is friendly and professional, and Dr. Contractor is among the best. Absolutely amazing! I am a brand new patient and I called them due to tooth pain from a suspected cavity and as soon as I told them I was in pain they found a way to fit me into their already booked solid and busy schedule. When I got there everyone was extremely friendly and helpful, my doctor and hygienist were absolutely wonderful and made me feel like I had known them for years while making sure I never felt any discomfort or pain. I have already scheduled future appointments and HIGHLY recommend. A great staff and a wonderful Doctor in Dr. Cntractor!! I look forward to my visits to them. Great attn to detail and a warm reception when you arrive. Thanks guys!! Absolutely fantastic staff all the way around. Has to be the best dental experience and I would never think of going anywhere else! Dr. Contractor is fantastic, the hygienists are so kind and friendly, but do a great job as well. The front staff has been so accommodating with me when I had scheduling difficulties due to work. I highly recommend this office if you are looking for a dentist! Great folks! Great Service! Reasonable Prices! Thank you Dr. Contractor! The service is OUTSTANDING!!!! I love this place. All the staff always smiling, and very kind. My son is 6 years old and Dr. Contractor’s assistants and Dr. Contractor himself are so great with him and so patient. They answer all my son’s questions. I would totally recommend Kennesaw Mountain Dental Associates. My 1st visit & it was great. Staff is so friendly they make u feel comfortable. They walk you thru the dental process from A to Z so you know what to expect.. Highly recommended!! The staff & doctors are phenomenal. From the time I called to schedule an appointment till the time I left the office. Everyone has treated me with respect and made me feel comfortable. Even though I had a bad experience that left me dreading a dental visit, the staff here made me feel right at ease. If you're looking for a dental office that treats you as a patient and not a bank, then check them out. Real honest service and information given to benefit you not them. They clearly love what they do!!! I had a really good experience at this office. The people are friendly and professional. I loved it! Another great visit at KMDA! This is an exceptional office with lots of highly trained and caring team members. I used to work here as a dental hygienist, but currently stay at home with my babies. However, due to the high standards in dental care provided, great equipment, and excellent sterilization practices, this is where my family and I choose to receive our dental care. Me and my husband have been going here for almost 2 years now. We had years of horribble dental experience and were truly lucky when we found Kennesaw Mountain Dental. You will get amazing costumer service from the beginning to the end of your visit, every single time. Dr. Contractor is amazing and follows up after each visit and if you don't answer he will leave a nice voice mail and offer to call him back even on his cell phone number..I mean who's dentist gives them that much care and attention?? He is a wonderful and caring dentist along with his whole staff!! We also have never experienced any hidden fees at all. All the fees are very transparent from beginning. They even work with you as far as payment plans. Me and my husband would highly recommend this dental office to anyone. Simply the BEST in the area. There’s nowhere else you should go. My parents from over 30 miles away and considering coming here instead. Staff is incredibly polite, timely, and professional. They are the kindest medical practice I’ve ever encountered. This is the best dental experience I have had in my life. Seriously... From start to finish, the experience was amazing. They were extremely thorough and conscious of out-of-pocket expenses and insurance. Everyone was so warm and welcoming, and Dr. Contractor has the most wonderful personality. Jamie was my hygienist, and I can't praise her enough. I would recommend this office to absolutely anyone. Amazing, amazing, amazing. They have my business for years to come. Professional, informative and personable all around. Kacy was spectacular as was Dr Contractor. Great group here, don't come often, but they make me feel at home...thanks guys. So far I have had a great experience here. Everything is clean, everyone is polite and professional. Excellence!! This dental office is heads and tails above ANY dental office I have EVER been too. The Doctor is amazing! The level of care is superb, and the environment is super clean and also relaxed. Great dentist, wonderful staff and hygienists. Great Service! The Doctor and Staff are professional, patient, and friendly. I always receive great dental and customer service here. They will work with you on payment plans as well. Dr. Contractor is Amazing and truly skilled at Dentistry. Nothing short of amazing! How many people can say that about their visits to the dentist. Everyone was extremely friendly and took the time to provide quality detailed information which helped make the entire experience pleasurable, educational and well worth the time. We love Dr. Contractor and his staff. He personally called my husband after a procedure to check on him and make sure he was comfortable. Personable and professional, one of a kind! I HATE going to the dentist for a variety of reasons. I normally go to a dentist once or twice & then change dentists. I've been seeing Dr Contractor & his staff for over 6 years. He listened to my concerns & understands my anxiety & does everything he can to make me feel more comfortable. Joan, at the front desk, is wonderful to work with! She takes the time to explain the bills & insurance & treatment plans (and sometimes more than once!) The rest of the staff are equally as awesome. I can't recommend Kennesaw Mountain Dental Associates enough! This office has far exceeded my expectations. Great experiences each time I go. Highly recommend! Dr. Contractor and his staff are very friendly, professional, extremely knowledgeable and trustworthy. My husband and I have been going to him for years and we now take my 5 year old daughter as well. She has had such a great dental experience that she really enjoys going to the dentist! We are very thankful and know that we are in good hands with Kennesaw Mountain Dental Associates. Dr. C is amazing. He has a passion for healthcare and is driven by patient service. His staff is friendly and attentive to the needs of their patients. From the moment you walk in the door the staff is their to aid you and make you comfortable. Hands down one of the most ethical and professional dental offices I've encountered. If you want top notch care please font hesitiate to give his office a call. The staff here are always super friendly. I used to hate going to the dentist but here they treat you incredibly well and make sure the process is painless. I experienced absolutely no pain when I had to get a cavity filled. This place is awesome! Pricing and expectations were not conveyed at the time of appointment. Dr. Contractor is a nice dentist but beware of hidden fees. Make sure you get pricing in writing as it is subject to change based on my experience. I went in for a free cleaning and left with a bill and didn't even get a cleaning. Had to call numerous times in order to get someone to finally explain bill (which I shouldn't have been charged). If you want to PAY A LOT for a good dentist, this is the place! Amazing experience and one of the best staff I've ever seen. Kim was just amazing, very friendly and very knowledgeable. Dr Contractor was also very nice, Michelle and Joan were very helpful as well. Would definitely recommend friends and family to come here. I switched to Kennesaw Mountain Dental from a national dental chain a few years ago. I took a chance on a new practice and have never regretted the decision. Dr. Contractor is a caring dentist that calls his patients personally to check on them after a procedure as minor as a filling!! The office staff and hygienist are great as well. Always a friendly face. Top notch practice. I am lucky to have found him and his staff. Call them for an appointment... see for yourself! Wonderful! Dr. Contractor is absolutely amazing. I have never had good experiences with dental appointments in the past, but ever since coming here, I have never felt more comfortable and respected. The office is always clean and front desk ladies are very friendly. The entire staff is very friendly and get to know you. Connie has been wonderful with the dental work I have had done, along with the rest of the staff. I HIGHLY recommend Kennesaw Mountain Dental! I have a family of 5 and we all go to Kennesaw Mt. Dental Associates and have for the last 4-5 years. We just love all of the staff and Dr. Contractor. I had a couple of cavities my last visit and was pretty sore and Dr. Contractor called me at home that night to see how I was doing. I've never had a dentist take the time to do that. I love how everyone is so friendly. We like the "family" feel to the place. I recommend them to all my friends. My kids are 16, 14 & 12 and love going too which says A LOT!!!!! Dr. Contractor and his staff are fantastic. I've been a patient for a couple years and have had great experiences every time I've been in. I've had both routine check-ups/cleanings and an emergency appointment to deal with an issue. The front office got me an appointment SAME DAY after I called in pain. Dr. Contractor is great. Answers all your questions, explains everything fully. Great doctor. Definitely recommend this practice. I love Dr. Contractor and Staff - I cannot say enough good things about them. Have been going for about 6 months and have sent several other new patients, all have reported they are just as happy as I am. The pricing is great and Dr. C does excellent work! I'm coming off 10+ years with no dental care and the list of what I needed was very daunting - however, Dr. C came up with a treatment plan that allows me to deal with the entire mess in an efficient manner, which I really appreciate. His work is incredible; I actually work in the Dental field now and have seen many other dentists work that doesn't look as good as what has been done to me. AAA+++! Dr. Contractor and his hygienist Jessica are absolutely amazing. My first experience at their office was beyond my expectations. They were so thorough and patient with me! Jessica took her time, explained everything to me, gave me options and had a great attitude. You can tell the people at this office love what they do!! By far the best experience with a dentist that I have ever had. The staff was courteous and efficient and Dr. Contractor was outstanding. Not only did he go the extra mile to make sure I felt comfortable and my experience was virtually pain free, but he also took the time to follow up a few days later to make sure the work was to my satisfaction. Looking for a new dentist? Look no further. I have been going to Kennesaw Mountain Dental for around 2 years now and have always received excellent care and service. They are thorough, professional, and a genuinely kind team. I can honestly say I have never been more comfortable going to the dentist. I would highly recommend them if you are looking for a new dentist. Dr. Contractor and his staff are awesome! I always have a great experience. Going to the dentist is not top o0n my list of favorite things to do, but the staff always makes it pleasant. Dr. Contractor is extremely friendly and always follows up to make sure you have the best care possible. Every time I leave Kennesaw Mountain Dental Associates I know that I have received the highest quality of care for my teeth and had an extremely pleasant experience. It's not often that people look forward to going to the dentist, but I just love the entire staff- they're so friendly and genuinely care about their patients. I LOVE KMDA! I am terrified by going to the dentist. I would rather draw my own blood than go to the dentist. However, Dr. Contractor and his team have been amazing. My 2 recent visits I had 4 fillings done each time (yes it had been a long time since I had seen the dentist, my last dentist I went to was awful and I just kept putting off finding a new one) and I can honestly say I did not feel any pain. Dr. Contractor told me exactly what he was doing when he was doing it and his super kind assistant Connie even stayed close and reassured me as he applied the novocaine shots. Dr. Contractor was so quick but completely thorough and detail oriented in his work that I could not believe he finished all that work in such a short amount of time and my teeth felt great! What a relief to know that I don't have to dread the dentist any longer. Dr. Contractor called me both times personally to see how I was doing after the work. I do recommend this practice to anyone who has had fears of going to the dentist and has put off finding a new one like I had. You will not regret walking in the door. The receptionist Michelle is always friendly and welcoming and I just can't say enough about his practice. Thank you for all that you do to make going to the dentist easy again. Great staff! My fiancé and I moved up here last year and chose this office because of their proximity to our apartment. Luckily, it turned out to be a good move. The doctor is very personable and the staff is knowledgeable about their work and the products that they sell. Close to home and great service, I highly recommend! The best that I have ever had. The staff is wonderful and caring. Dr Contracfor is absolutely fantastic (which stands to reason as to why the staff is so great). When you have a great dentist like him then he is only going to surround himself with great people. This dental office is very nice, clean and we enjoy the hygienists and dentist. Dr. Contractor is very nice and friendly. We've had preventive care as well as basic fillings, etc. and we will continue to go here. I was hooked on Dr. Contractor and his awesome KMDA staff after my first visit! They are kind, friendly, and always seem to have my best interests at heart - not "upselling" me on various things. I actually look forward to my dental visits because it feels like I'm going to see friends. They even let me pick what's on the TV while I'm in the chair! Do yourself a favor and go see Dr. Contractor!!! I actually LIKE going to the dentist! They make you feel very welcome and important. They and very friendly and accommodating. I had a positive first visit there this morning. I get the impression that the office and doctor go out of their way to treat patients well. I've had overwhelmingly positive experiences here for several years. All staff members are friendly, and the office has a clean, comfortable environment. It is the best dentist I have ever been to. You could tell that they really care about you and not the money. After searching for a new dentist, I was lucky to find the folks at Kennesaw Mountain Dental! Cheerful, helpful and pain free dentistry! © 2019 Kennesaw Mountain Dental Associates.